Green Juice gets a lot of buzz. 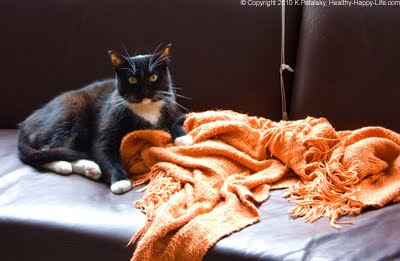 But unlike more pedestrian juices like apple, orange and grape - "Green Juice" has an alluring level of mystery to it. Green Potion. When I first heard the term green juice, I figured that it was some powerful health tonic or potion, the recipe a well-kept secret. 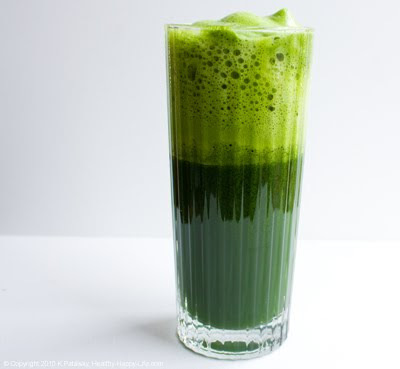 But really, the term green juice, is meant to describe any juice - that is in fact some shade of the color green. 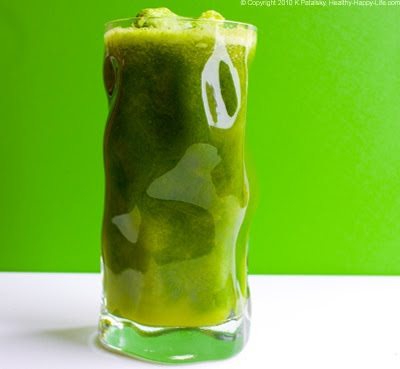 Green juice may be a combination of fruit and veggies or it may be 100% veggies. 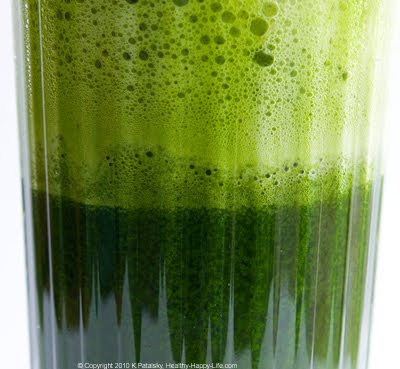 Green Juice ingredients may be 100% crisp green, or a rainbow of colors. 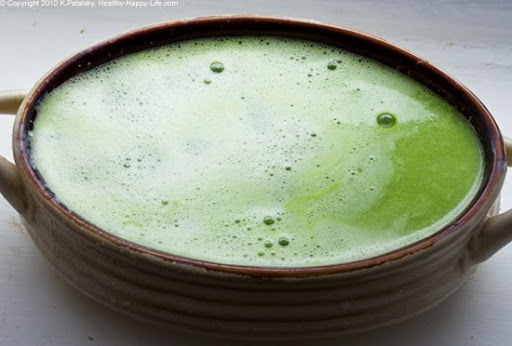 See my Juicing Series for my series for Juicing for Health (and fun)! My At-Home Juicing 101 is your complete guide from start to finish! Green Juice Ingredients. There is more than a handful of ingredients that you can add to your green juice recipe: beets, chard, arugula, spinach, lime, lemon, apple, pear, garlic, scallions, basil, cucumber, orange, kiwi, romaine, pineapple, mint and many many more. 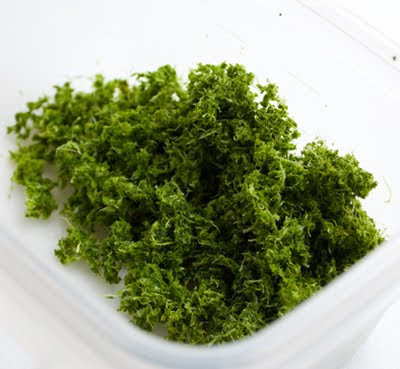 See towards the end of this post for my laundry list of Green Juice ingredients. 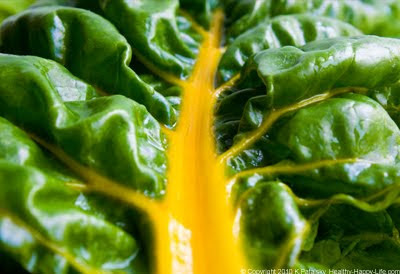 8 leaves of Rainbow Chard = 10 ounces green juice + foam. Foamy Juice. 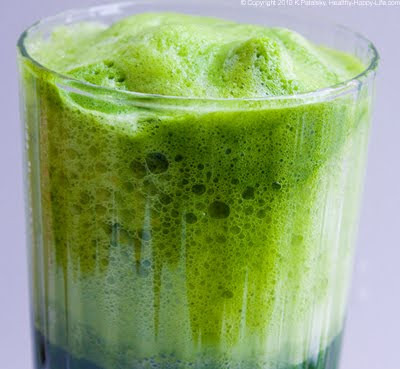 Green Juice often foams up quite a lot. But not in the same debilitating way that pineapple juice does. In a good way. The end result is juice that is frothy and foamy, like a soy latte. Fresh, fluffy and delicious. 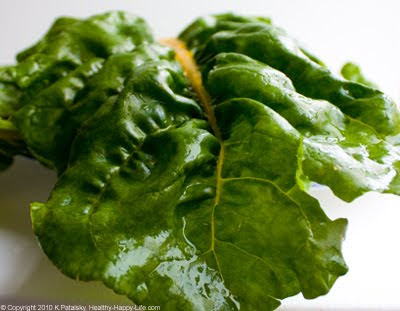 NOTE: Green Juice ingredients do not have to be all green! 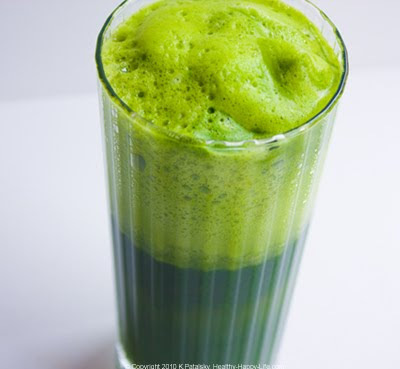 This may seem silly to say, but it is often a green juice myth among newbies. 1. Wash your ingredients well. 2. Peel the rind off your lime and orange - discard. Slice your fruit. 3. Juice your chad greens, orange, lime, pear and ginger. 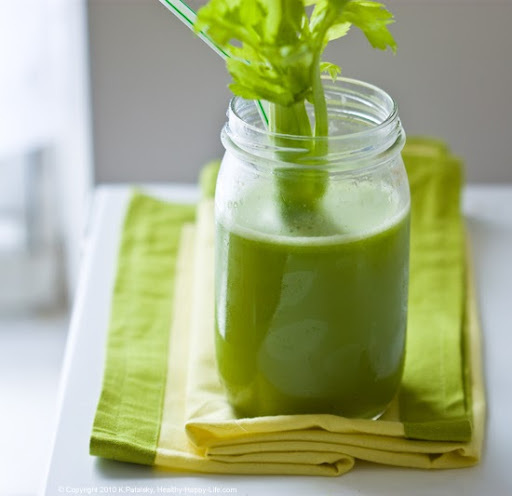 I also love this Vibrant Ginger Green Tonic Green Juice recipe. 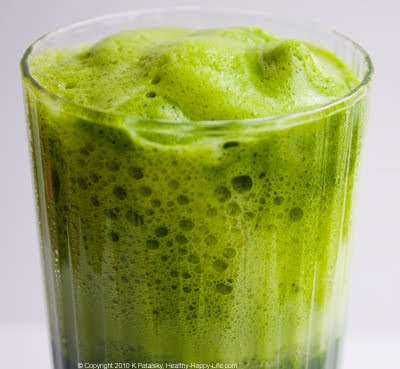 Or this Apple Spinach Lemon Greenmarket Green Juice recipe. 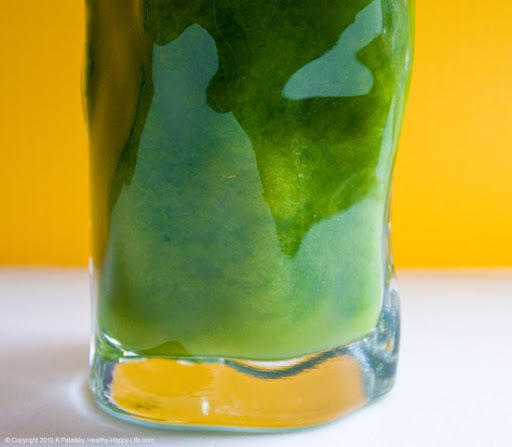 Get Creative and discover what Green Juice blend you fall in love with. 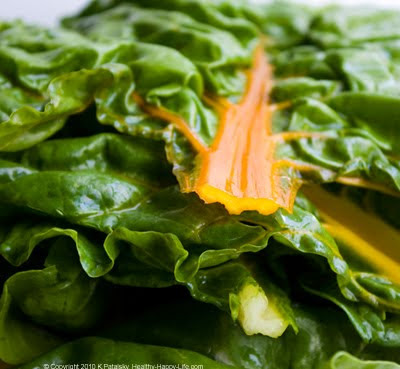 The Result: You'll be feeling vibrant and energized after a tall glass of green juice. 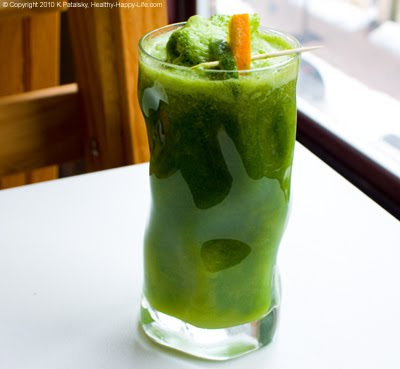 *Sarma M, owner of Pure Food and Wine in NYC often tweets that she drinks about a quart of Green Juice a day! Her fave is "Swan Greens" available at One Lucky Duck in NYC. No wonder she glows so much. 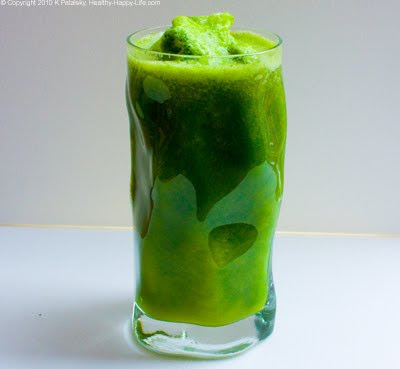 *Celebs like Gwyneth Paltrow in her GOOP Newsletter, often remark of their love of Green Juice. 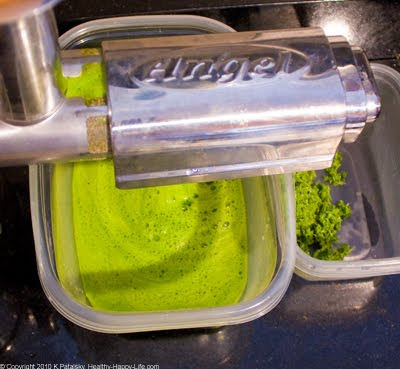 *Tons of Green Juice suppliers pop up all over the country. There's Blueprint Cleanse and Organic Avenue in NYC.